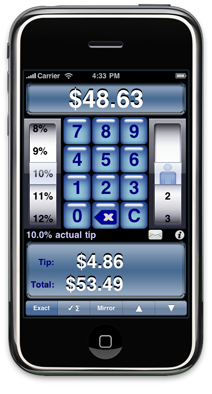 Tip fraud occurs when unscrupulous restaurant servers modify credit card receipts in order to receive a higher tip. Waiters and waitresses that are unhappy with the tip amount might add $5 or $10 to the tip line of credit card receipts. For example, let's say you went out to lunch and your service was abysmal, so you left a tip of 10%. 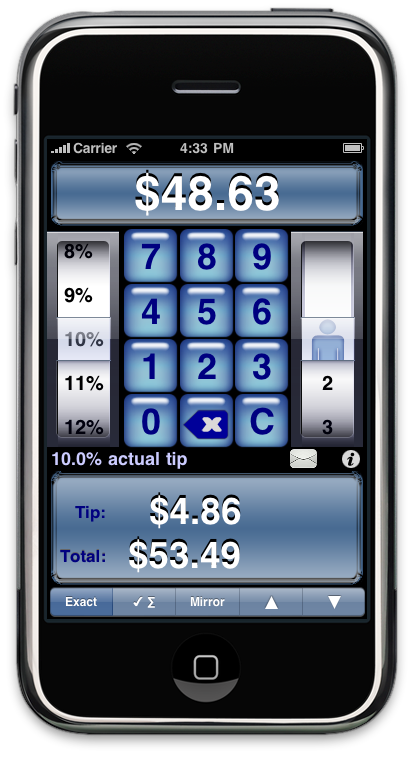 The server feels that this is unfair, and modifies the tip by changing writing a 9 over the 4 in the tip. Changing the 3 to an 8 in the "Total" line is also trivial. While it is difficult to prevent these alterations, you can make it easier to identify modified amounts on your credit card statements by using a checksum or palindrome tip technique. Allow you to verify that no adjustments have been made to the amount you charged. Notify your credit card issuer. They should credit you the difference between the actual amount and the amount you paid due to this fraud. Notify the restaurant. The manager will want to know if there is a dishonest employee and might even offer you free meal or discount for your troubles. Notify the police and report the crime (optional). Even if the tip fraud was just a small amount, reporting it to the police will help build a case against and protect others from the thieving server. There is a chance that your server didn't intentionally commit tip fraud. Perhaps he or she was in a rush, and accidentally hit the wrong keys when entering the amount. Please consider this before reporting your potentially innocent server.